There are two ways of preparing matcha: thick (濃茶, koicha) and thin (薄茶, usucha). 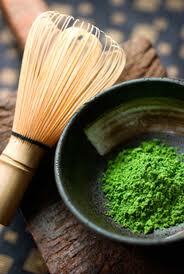 Prior to use, matcha can be sieved in order to break up any clumps that may be in the tea. A small amount of matcha is placed into the bowl, traditionally using a bamboo scoop called a chashaku, then a small amount of hot (not boiling, about 80 °C or 176 °F) water is added. The mixture is then whisked to a uniform consistency with a bamboo whisk known as a chasen. The matcha is ready when there are no longer any lumps in the liquid and no ground tea remains on the sides of the bowl. As matcha can be bitter, it is traditionally served with a small sweet ( consumed before drinking), and without added milk or sugar. It is usually considered that 50g of matcha will provide for 25 bowls of usucha or 12.5 bowls of koicha. Usucha, or thin tea, is made with approximately 1.75 grams (1.5 heaped chashaku scoops, or half a teaspoon) of matcha and roughly 75 ml of hot water per serving, which can be whisked to produce froth or not, according to the drinker's preference. Usucha creates a lighter and slightly more bitter tea. Koicha, or thick tea, is prepared with approximately twice the amount of matcha (approximately 3.75 grams or 3 heaped chashaku scoops) and half the water (one teaspoon 40 ml hot water), or as many as six teaspoons of matcha with 3/4 cup of water. The resulting mixture will be significantly thicker than Usucha and have a consistency similar to honey. Blending Koicha requires a slower, stirring motion than Ususcha so as to not produce foam. 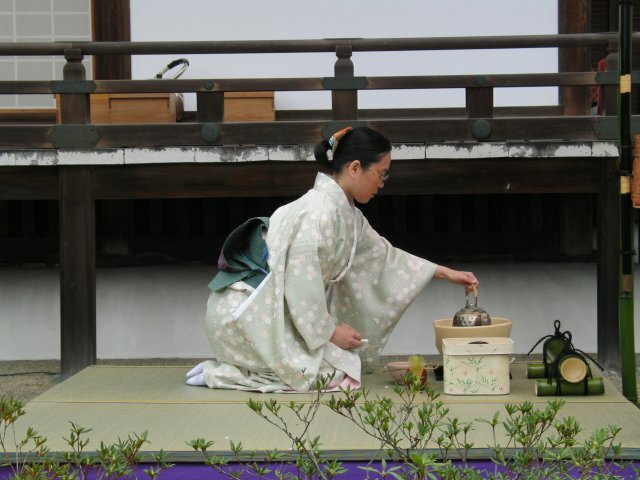 Koicha is normally made with more expensive matcha such as ceremonial grade matcha and thus actually produces a milder and sweeter tea than usucha; it is served almost exclusively as part of tea ceremonies.